Western Oregon University hired Direct Sportslink to secure A.C. Green as an after dinner speaker at the WOU fundraising event. Well known for his years at Oregon State and with the Los Angeles Lakers, AC needed little introduction and was a great speaker choice for an audience with college students and parents. An A.C. Green personal appearance, A.C. Green speaking engagement, or A.C. Green endorsement will reflect well on your company. To hire A.C. Green now for any corporate appearance, fundraiser, motivational speaker event, personal appearance, autograph signing, or website endorsement please contact our celebrity agents at 1-877-6-SPORTS. We will contact A.C. Green or contact A.C. Green's agent and provide you with the booking fees and availability immediately upon your request. Direct Sportslink is the only sports speakers bureau and talent booking agency based in the United States securing only sports talent for corporations, associations, and organizations for motivational speaking engagements, personal appearances, and endorsements. We are the premier sports celebrity booking agency and a sports celebrity procurement expert. Accordingly, we will provide you with any relevant A.C. Green website information and booking agent details so that you can hire A.C. Green for your next event. 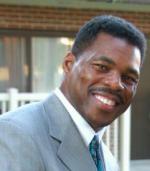 Direct Spotslink has worked with A.C. Green on numerous speaking engagements and personal appearances. A.C. Green, is considered the "Iron Man" for having played in 1,192 straight NBA games. A.C. surpassed Randy Smith's 907 consecutive games played on November 20, 1997, and played in his 1000th game on March 13, 1999. A.C. played with the Miami Heat during the 2000-2001 season. 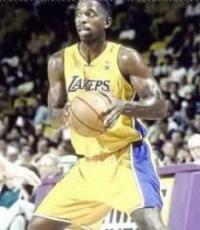 He earned a Championship with the Los Angeles Lakers in the 1999-2000 season. Prior to this, A.C. spent two seasons with the Dallas Mavericks, four seasons with the Phoenix Suns, and eight seasons with the Lakers. A.C. was the Lakers' first round-selection in the 1985 college draft, 23rd selection overall. He became the first rookie since LeRoy Ellis in the 1962-63 season to appear in every game. He moved into the starting line up in 1986-87 for the final 72 games and led the club in rebounds averaging 7.6 per game. 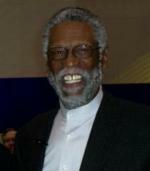 He was selected by NBA coaches to the league's all defensive second team in 1988-89. He recorded a career high 35 points on January 15, 1994. A.C. was voted by his fans as a starter for the 1990 NBA All-Star Game. At the 2011 NBA All-Star Breakfast, A.C. Green was awarded the Bobby Jones Award for character, leadership, and faith in the world of basketball in the home and the community. Based on your interest in A.C. Green as a speaker or for a personal appearance, Direct Sportslink has provided you additional links below for other sports talent with similar appearance fees, speaker topics, and categories that match A.C. Green.